December takes the “non” out of non-consumer. It’s a funny time of year, leading up to Christmas, for those of us who celebrate it. Everyone is talking about ‘getting their shopping done’ and there is general discussion of what gifts people have bought for whom. Advertising is at its very worst (or most insistent or whatever adjective you prefer). This,coupled with that warm fuzzy feeling Christmas can bring (I’ve had plenty of years when it didn’t, but now that Little Fearse is around the warm fuzzy feeling is back) it can really bring out the consumer in a non-consumer. 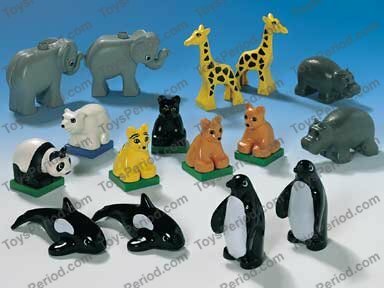 I have had my heart set on buying Little Fearse some African animals for Christmas for imaginative play. She is starting to get very interested in pretend play with her dolls, cars and soft toys. She likes dressing up and pretending to be different animals.I wasn’t expecting this kind of play from her for a little while longer, but the teacher in me desperately wants to foster this. She has been really enjoying our zoo trips and seems particularly fascinated by animals like the ostrich, meerkats, lions and giraffes. I don’t want to buy her junky toys. Like most toddlers, she plays hard with her toys. They get tossed, crushed, chomped, folded, tugged. I want to buy her toys that can withstand that kind of play. I also don’t want to get her cartoony looking animals, I’d love them to be realistic. I think that animals like these are super cute, but I’d rather the animals Little Fearse plays with look like the animals she sees at the zoo. I’ve found a brand I love – realistic looking, durable animals. There are various used lots available on Gumtree and eBay, most in great condition (testament again to how long lasting these animals are). The problem is, these toys are also collectable. They regularly retire a run of animals, making them highly sought after. I have found myself getting into outrageous bidding wars, ones where I have bid all my Paypal reserves plus some and still been outbid. Bulk lots of these gorgeous figurines go for hundreds of dollars. This is well outside my Little Fearse Christmas budget. This does not feel like a simple Christmas. One of the worst consumer traps is the increasing strength of desire the harder it is to obtain something. Designers don’t put $3000 price tags on their clothes because they are worth that much money. They put $3000 price tags on their clothes so they are unobtainable, and therefore desirable. The same goes for buying second hand goods. Earlier this year I got into a frenzy over trying to buy a Little Squirt nappy hose to attach to my toilet. I was so obsessed I bid on 5 or 6 auctions on eBay and was outbid every time. They went for close to the price of a new one. I ended up buying a very second hand (it was oooold) one on Gumtree. I paid way too much for it and when it arrived discovered it was so perished and leaky that it was no use to me. The desire to have a Little Squirt nappy hose instantly faded. I have managed to find some smaller lots, two meerkats and two lions for Little Fearse. It isn’t exactly the zoo I imagined. I hope that my efforts haven’t been fruitless, but boy am I glad I lost those $100 auctions. We are almost at the end of our BNN year now, and it seems to me that those ugly consumer habits may still be just below the surface, waiting for the perfect opportunity to take over my rational thoughts. It is going to take a lot longer than a year to undo 30 odd years of buying habits. I hope you have had a more rational start to the holiday season. Sometimes we like to pretend that you’re here to read about things like how we choose to parent our daughter (so exciting and original!) or what books I like to read that you should, too, or uhh other stuff that is mostly irrelevant to our BNN challenges. Thanks for indulging us. We often find we don’t have a huge amount to say about Buying Nothing New. This is probably a good thing. A great thing. It means that we are overcoming our challenges with more ease – it’s becoming second nature to solve our issues by purchasing nothing, borrowing something, adapting, mending, making or (as a last resort) buying second hand. But this doesn’t make for good blogging. It was my birthday last week. When my parents asked me what I wanted I thought long and hard. I had been researching about the Kitchen Aid Mixer and whether it might be a worthy addition to my kitchen. It is possible to buy them second hand, though they don’t depreciate much and in Australia they are very expensive. I’ve really done a lot of research and I did consider asking Mum and Dad if they’d help me buy one second hand for my birthday. I still feel so undecided about it, though, and recently my brother and his partner suggested I borrow theirs for a little while to see how much I use it and if I like it. I think this is a really great BNN way to make a purchasing decision. What did I ask for then? Honestly, I’m to sure how this gift sits with BNN. I feel a little uncomfortable about it, but I’ll explain the process we went through. I have an old doona that has lost most of it’s feathers. When I say ‘old’ I got it for my 21st birthday, so it’s not terribly old (I’m not terribly old, really, after all) and it was expensive at the time. I feel it should have lasted longer than it did. But it didn’t. I know that I could get it refilled, but I feel that it is an expensive solution that is also temporary. As the weather has cooled down at night the three of us in our bed are less than cosy. We use no heating at night and no matter how many bed socks or singlets or blankets we add we’ve all been so cold and none of us have been sleeping well. So I asked my parents if they would give me a new doona for my birthday. Mum and I went shopping – we ended up choosing a woollen doona by MiniJumbuck*. As an Australian brand using Australian wool we felt it was hard to go passed. I also like the fact that though the wool may get flatter over time it won’t lose feathers. Buying this doona first hand is the first factor that I felt uncomfortable with. I guess this probably counts as a personal purchase of something new, because really I made the decision and although I didn’t pay for it, I asked for it. Technically or not, this is a purchase on our behalf. The second factor that made me feel uncomfortable was that we bought a king size doona when my previous doona was queen size. This means new covers. We ummed and aahed over what size to get, but honestly – BP and I are both really tall and we share a bed with a growing toddler. I want this to be THE doona we have for years and years to come. I don’t want to make the decision in five years time that it isn’t big enough. To solve the issue of doona covers we managed to purchase two second hand covers on eBay for $28. We don’t love the patterns, but we’re not that particular about our bedroom decore anyway, so at that price (and second hand) we’re happy to have them for the term of their natural life. The old doona is going to be relegated to our spare bed for now as it sure beats the polyester summer doona in there currently (which will be donated). It’s not a win – win situation, but it’s not a complete loss either. * I know it’s weird to link a product website on a blog that is discouraging consumerism, but honestly – to me this seems like a perfect option if you are Australian and you want to buy ‘locally’. None of the other doonas were made here or used quality local products. This reduces the miles the product has travelled, if nothing else. We’ve stuck hard and fast to our (well, my) 2-4-1 Challenge. Keeping track of the incoming stuff hasn’t been easy. Keeping track of the outgoing stuff is so much easier because I always feel so good about finding something new to shed. It’s amazing how you think you’re done shedding things and you find more. So, the current figures look like this: 80 in: 259 out. I’m not overwhelmingly happy with those figures. For MONTHS we sat on about 15 in and 100s out. Then Little Fearse’s birthday happened. We knew we were going to take a beating, and we tried to prepare ourselves by getting rid of as much stuff as possible in advance, but woah! And you know, a lot of the presents Little Fearse received were totally BNN. They were second hand or hand made or things we’d asked for that she needed. We were stoked. Little Fearse was stoked. But it was a huge influx of incoming things and that’s hard to take when we’re working so hard to reduce. One of the things I should note about the 2-4-1 Challenge is that we do not add things to outgoing that are thrown away or put in the recycling. If it is not passed on to someone else or donated then we don’t count it as outgoing. This means that we are thinking really hard about ways things can be reused, rather than just turfing. Recycling is a last resort, too. It’s a passable option, certainly better than the trash, but it is not as great as reusing. offering a newly walking toddler from Mum’s group a pair of brand new shoes (which never fit Little Fearse). The 2-4-1 Challege has made me think differently about my things. I look at them according to their usefulness and I think about where they might be more useful. I love this and I hope that I’ll be able to continue to purge steadily. I did think I’d be able to get rid of a lot more at a faster rate. This kind of befuddles me, because I really do have a lot of stuff. In the beginning I didn’t even count the 40 odd things I had already boxed up for the op shop. I had hoped to get rid of 100 things and thought “Too easy!” Well the first 100 was easy, but after that it became a lot more difficult. I have a new found respect for Brooke’s 2013 items in 2013 challenge. Hopefully there are some little stashes that I just haven’t found yet! Any ideas where to look?! A clothes shock take. Arg! Inspired by this post on Extra Organised I decided to stock take my clothes. It took me two days. TWO DAYS. I had no idea I had so many clothes. Recently I told BP I was going to need to get some new clothes for work. I only have on pair of black pants and one long sleeved black top to get me through the winter. After the long and involved stock take of my wardrobe I’ve decided I no longer need new work clothes…or any new clothes. Possibly ever. I own 371 items of clothing. I have not yet counted my accessories. I’m afraid to. I have also avoided counting my shoes. THREE HUNDRED AND SEVENTY ONE different items of clothing! No wonder I can never decide what to wear. And in the process of the stock take I put aside an additional 23 items for donation and 31 items of clothing to sell on eBay. That brings my original total to 425 items. I’m pretty upset with myself. There is one aspect that I feel is out of my hands. Every year for Christmas I receive a huge tub of undies and socks. This is incredibly kind and generous and useful. Except I don’t need a new giant tub of undies and socks every year. I don’t wear my undies and socks that hard (does anyone?). I currently own 59 pairs of undies and 41 pairs of socks. SERIOUSLY. If I wore all those undies an equal amount of time I would wear them 6 times in a year. The socks? About 9 times. That’s not wearing out amount of time. The other thing that has upped the number of items is my maternity wardrobe. This spans three different sizes and consists of a variety of maternity and “non-maternity-but-maternity-friendly” clothing. Much of this is second hand and most of the items are currently out on loan to a pregnant friend. This is an area of my wardrobe that is worth keeping a-hold of for now, but won’t always be relevant and will be easy to get rid of. This makes up 45 items in my wardrobe. The best thing about the stock take was that I finally got up the courage to sort my wardrobe. As most people find when they do a big clear out of their wardrobe, I learned a few things about myself. If it goes into the mending basket it’s probably going to stay there. Either I get motivated or I out-source. Some items have been there for years! I have held on to things that I really like even when they don’t fit me or suit me. It was easy to get rid of them when the reality of how much choice I have hit me in the face. There is no point in holding on to that pretty purple hand-dyed slip from the late nineties. I’m never going to wear it again. It is never going to be 1997 again and even if that becomes a ‘thing’ again I will definitely be too old to wear underwear on the outside…or skirts over pants.That’s over. Get rid of that skirt. Holding on to my old stretched out singlets isn’t necessary. I have 28 singlets. I am definitely going to work my way down to a more realistic number of singlets – though I do wear one every day. There are not that many items I’ve bought in recent years that I really love. The things that I enjoy wearing are my oldest clothes – wardrobe staples. Maybe I was truer to myself then? I DO NOT need any new work clothes. I work 5 days a fortnight. I can come up with 5 work outfits a fortnight out of my current wardrobe. I could come up with 20 if I needed to. I DO NOT NEED ANY MORE CLOTHES. This has been a really eye opening experience for me. I don’t think I’ll be joining the six items challenge any time soon. I obviously have bigger wardrobe issues than I realised.